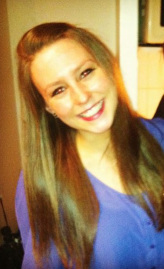 Jenna Rupert is a senior majoring in Public Relations and minoring in International Studies. Born and raised in the DC area, she hopes to settle somewhere in NYC or California after graduation. She first discovered charity: water two years ago and immediately fell in love with the organization. Her passion for the cause led her to volunteer at the headquarters during the summer of 2013. After meeting all the incredible employees and seeing the amazing work they do each day, she decided to get the club started again at Penn State. On her 21st birthday, she started her first campaign to raise money for clean water called 'MY 21ST BIRTHDAY: WATER FOR ALL' She hopes charity: water Penn State will help inform Penn State students and community members of the ongoing water crisis while helping raise funds to bring clean water access to developing countries. To contact Jenna, email her at jrupert92@gmail.com. Pranoy Mohapatra is a senior studying Biological Sciences, with a Health Professions Option, and plans on pursuing a career as a physician. Pranoy was raised in Central New Jersey, where he met a friend involved in charity: water. His involvement began when she reached out to help translate videos for the September campaign of 2013, which focused on the area of India that Pranoy’s family is from. After working with the organization, he joined the effort of reviving Penn State’s charity: water club in the Fall. He is committed to helping areas struggling with access to clean, disease free water across the globe, and hopes to help eradicate this terrible problem from the world. To contact Pranoy, email him at pranoym1@gmail.com.